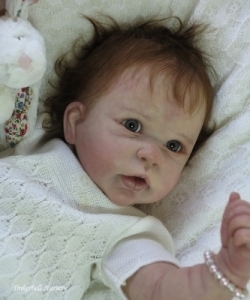 19" Bobbie Reborn Kit Includes: Head, 3/4 limbs & Certificate. Add an Ultra Soft Anatomically Correct Torso/Body. 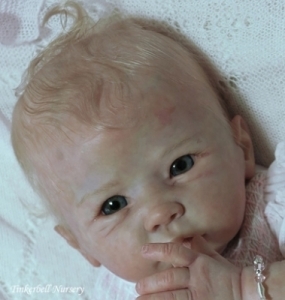 (2 left) - 21" Baby "Amelie" Unpainted Vinyl Reborn Kit. 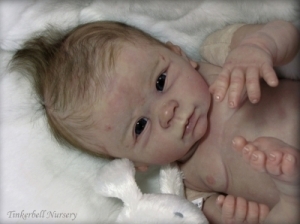 Kit Includes: Head, 3/4 limbs, & Certificate. (4 left) - 20-21" Open Eyed Andi Unpainted Vinyl Reborn Kit. 20-21" Andi Unpainted Vinyl Reborn Kit. Kit Includes: Head, 3/4 limbs & Certificate. 20-21" Bethany Unpainted Vinyl Reborn Kit. 29" Bonnie Unpainted Vinyl Reborn Kit. 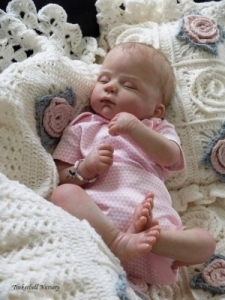 18"-19" Newborn Infant "Catrin" Unpainted Vinyl Reborn Kit. Add a Body and a Wrap-around Belly Plate. Just Born Infant 19 in. "Chloe" Unpainted Vinyl Reborn Kit. Kit Includes: Head, full limbs & Certificate. Add an Ultra Soft Anatomically Correct Girl Torso with inside body. 19"-20" Baby "Dani" Unpainted Vinyl Reborn Kit. Add an Ultra Soft Anatomically Correct Torso with inside body. 21" Adorable 'DeeDee' Unpainted Vinyl Reborn Kit. 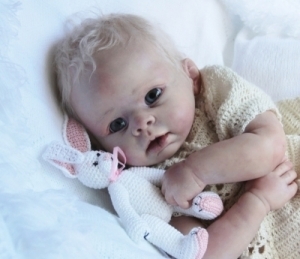 20-21" - "Baby Ellen" Reborn Doll Kit. 19"-20" Baby "Georgia" Unpainted Vinyl Reborn Kit. "New Generation" - New design in Reborn Kits. Add an Ultra Soft Anatomically Correct Torso. 19-20" "Harry" Unpainted Vinyl Reborn Kit. 19-20" "Holly" Unpainted Vinyl Reborn Kit. 19"-20" Unpainted Vinyl Reborn Kit "Jo". 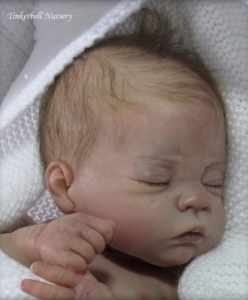 16" Sleeping Preemie Jody Unpainted Vinyl Reborn Kit. Add the Custom Body and Belly Plate. 20-21" Krista Unpainted Vinyl Reborn Kit. (Only 2 left) - 19"-20" Lara Unpainted Vinyl Kit. Add the Custom Body and Wrap Around Girl Belly Plate. 21" Kassi Unpainted Vinyl Reborn Kit. 21" Misha Unpainted Vinyl Reborn Kit. 18-19" Preemie "Lydia" Unpainted Vinyl Reborn Kit. Add a Custom Doesuede Body & Wrap-around Belly Plate. 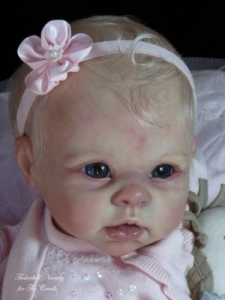 19"-20" Baby 'Maya' Unpainted Vinyl Reborn Kit. 23" - 9 month old - "Mia" - Unpainted Vinyl Reborn Kit. (2 kits left) - 20" 'Tami' The Asian Oriental Princess Unpainted Vinyl Reborn Kit. Toddler 27-28" Tippi Unpainted Vinyl Reborn Kit. Kit Includes: Unpainted head, Full arms and 3/4 straight legs. Custom Designed Ultrasuede Body and Certificate.